This month’s talk was by Katie Hassell, a scientist from Astrium based in Stevenage. This branch of the multinational EADS group is familiar to us through a past visit by their head of publicity and a visit to the factory by some of our members a few years ago. Katie described the company and showed an interesting picture of the Stevenage site in the 1950s which was basically a field, later developed into a site for producing spares for the Comet jet liner. 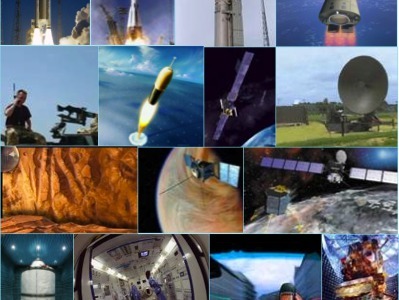 Astrium has been involved in the construction of over 60 telecommunications satellites, plus a varied array of astronomical space probes, including Herschel, Planck and the Hubble telescope. A number of major projects are in the pipeline, including the Gaia interferometer, BepiColombo probe for Mercury, ExoMars and the space interferometer LISA. There was an extensive Q&A session where Katie was asked about the practicalities of satellite construction and “qualification”. The latter is the process of ensuring that each component will operate to specification for a given period of time, maybe for decades. Given the harshness of interplanetary space, this is a big challenge. The extremes of temperature to which components are subjected, (according to whether they face towards or away from the sun), means that a lot of effort goes into devising thermal protection. A very interesting evening, which makes you marvel at the skill (and expense) involved in making these devices work in space. More information can be found at ESA’s website.